Comedian Ben Turpin in 1914. This turned up on TCM yesterday, and since my ability to download movies is limited, I thought I’d make an exception and talk about it. It wasn’t made in 1914, but it claims to be about 1914 movies – in particular the movies of Mack Sennett Studios. It’s a look at how the movie audiences of nearly 30 years later recalled our period. It even includes a recreated look at a Nickelodeon Theater, including a kid reading the Intertitles aloud to his little brother, confirming some of my ideas about audiences of the time. 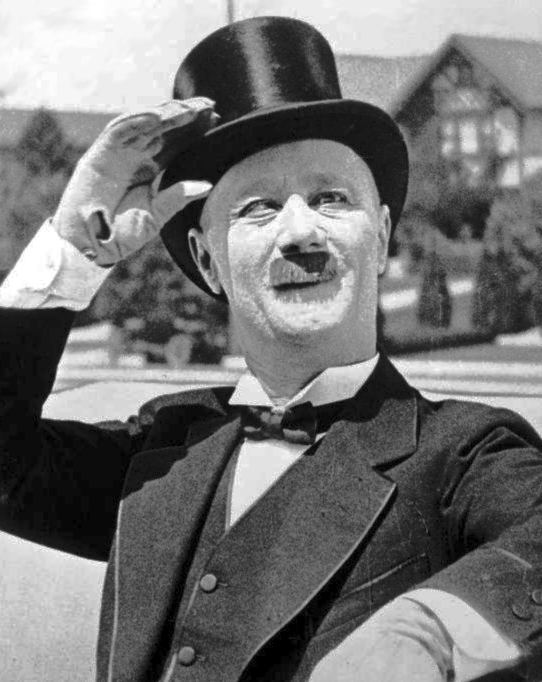 One name you’d expect to hear in a retrospective on Keystone is Charlie Chaplin, but no dice here. I think Charlie had re-acquired the rights to all his old movies at this time, and wouldn’t have allowed it. So, instead, we get clips of Billy Bevan, Ben Turpin, and even Fatty Arbuckle (with no mention of the scandal that brought him down). There’s a brief flash of Mabel Normand, and we also see Gloria Swanson as a Sennett Bathing Beauty, although she’d have denied ever holding that title. The Keystone Kops are featured, but for some reason are called “policemen.” The new score is beautifully timed, but not really appropriate to the period, while the narration swings from annoying to interesting. I suspect a lot of the footage is post-1914 Keystone. Not available for free viewing at this time.